The Office of the Ombudsman charged the former chairperson of the Pandi Water District in Bulacan with graft for his alleged failure to pay the back wages of one of his employees in 2014. Mario Agustin and his co-accused, former board members Ofelia Cruz, Rosalinda Marcos, Anicia Concepcion-Marquez, Marlon Soriano, and Ma. Isabel Avendano were charged before the Sandiganbayan with violation of Section 3(f) of the Anti-Graft and Corrupt Practices Act. According to the Ombudsman, Agustin and the five other respondents conspired with one another in discriminating and failing to pay the back pay of Elvira Socorro Santos from March 29, 2011, to August 20, 2014, pursuant to a decision by the Civil Service Commission on October 6, 2011. The respondents allegedly acted “without sufficient justification and after the lapse of a reasonable time after due demand or request was made” upon them by Santos. The Ombudsman recommended a bail bond of P30,000 for each respondent. The Pandi Water District was created and organized in 1986 pursuant to Resolution No. 26 Series of 1986 approved by the Sangguniang Bayan of Pandi, dated September 24, 1986. 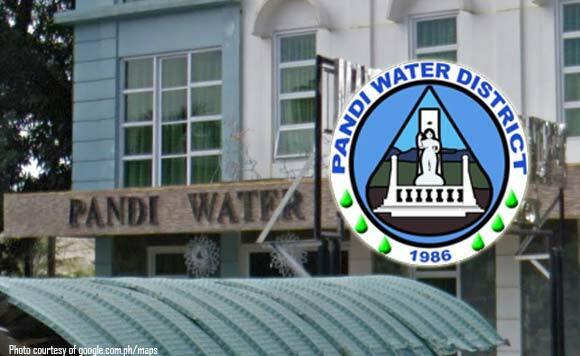 The resolution gave the Pandi Water District the full control of the Administration and management of waterworks operation in the municipality of Pandi, in accordance with PD No. 198.